Another chance to qualify for the NBC Sports Washington Trivia Challenge - $5000 cash prize - awaits tonight at James Hoban's. 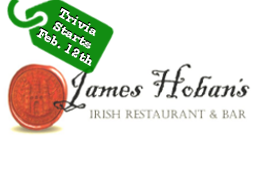 This Irish pub is the perfect place for your Monday trivia fix - the event begins at 8pm. Don't miss it!